I have 16 years’ experience in property management, 12 of which have been spent locally here in Tauranga. This has made me very knowledgeable of and familiar with the area, and has also allowed me to foster a general work ethic based around focusing on what really matters locally and tailor my services to clients in this way, rather than trying to apply blanket approaches that may not work in such a specialised field. "It is with pleasure and confidence that we recommend Karen Johnson to any homeowner/property investor in the Tauranga area who may be looking for a property manager to supervise their rental needs. Karen has been managing our rental properties for over 10 years, from the outset she has been outstanding in all areas; as overseas property owners she has provided the ‘peace of mind’ needed when living so far away, she efficiently handles all aspects of our property from leasing, managing issues with our tenants and property maintenance; she has without doubt gone ‘the extra mile’ for us many times over the ten years she has managed our properties. We have built a strong relationship with Karen based on principles and values, Karen’s success in the property management business is a direct result of her wise counsel, valuable contacts and undying energy. 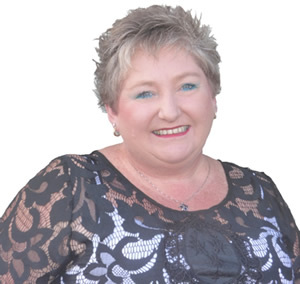 "We have had our rental investment properties managed by Karen for over ten years now. Karen has been amazing in her role, and gives us complete peace of mind knowing that our properties are well looked after and maintained. Everything is done professionally to a premier standard the rest of the world can only aspire to. Over the last ten years Karen has probably averaged a tenant occupancy rate in excess of 99% for us which shows Karen has helped us realise a maximised return on our investments. Simply the Best!"